According to the latest CoreLogic National Foreclosure Report, “approximately 552,000 homes in the US were in some state of foreclosure as of December 2014”. 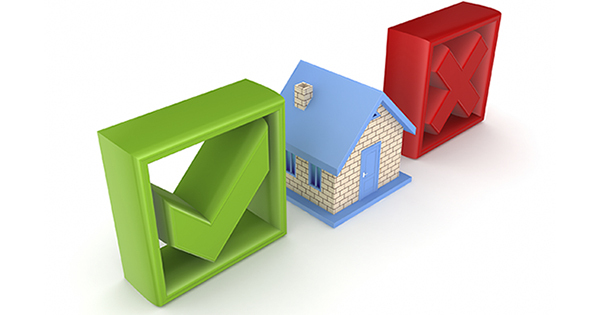 This figure is down 34.3% from the 840,000 homes in December of 2013. December marked the 38th consecutive month in which there were year-over-year declines. 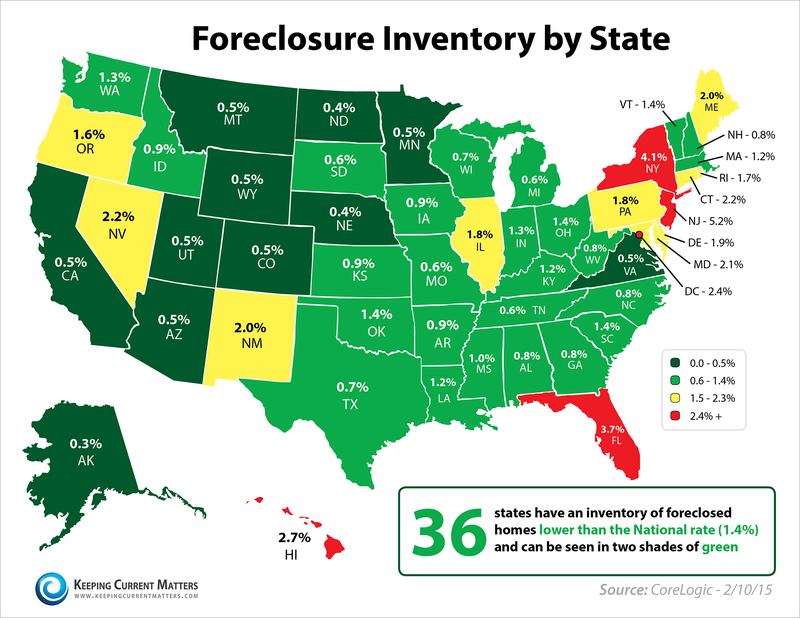 The map below shows the percentage of foreclosure inventory in each of the 50 states and Washington, D.C. Thirty-six states have inventory below the national rate of 1.4% and can be seen in two shades of green.